Beiste MacDougall has only just found himself as laird of his clan after a brutal attack from Vikings leaves his father slain. 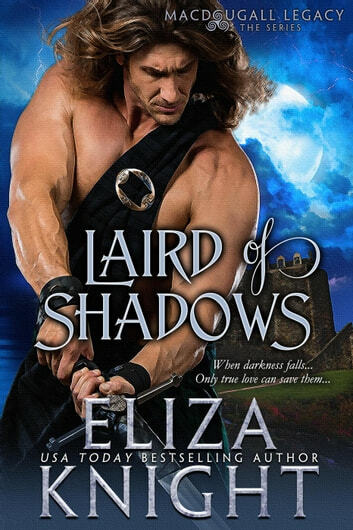 On the night of his sire's death, a beautiful woman comes to his castle begging for help, calling upon a vow their clans had made years before. Though he'd rather wallow in his pain, Beiste is tempted by the lass, the secrets she holds, and the chance at retribution she brings. Lady Elle Cam'béal is desperate to save her brother and her clan from the vile clutches of her Viking enemies. But there is only one man who can help her, a handsome, provocative laird with a beastly temper. When he locks her in a chamber, she is visited by an apparition, and left with a secret that changes her destiny. Elle must figure out a way to accept her fate, but also forge a future of her own choosing. A much smaller, novella-length version of this story appeared originally in the Once Upon a Haunted Castle anthology. This extended version is twice the original size! Eliza Knight knows how to write. From the beginning of this book until the end I couldn't put it down. This author knows how to tell a story. I felt like I was there with the characters experiencing it all with them.